It must be child friendly. That means focusing on the world from a child’s perspective. TSP dentists, technicians and support staff dress up as characters to put children at ease. Fairy wings, cat ears, tutus, and even tiaras are a common sight. The lobby is decorated with child friendly wall paper featuring cartoon characters; there is a TV with cartoons on a loop; there is a room where children can play Pac-Man and other electronic games. A trip to the dentist is like a visit to the arcade. The bottom line is that children need dental care. An inviting atmosphere is important not only for children but for parents as well. 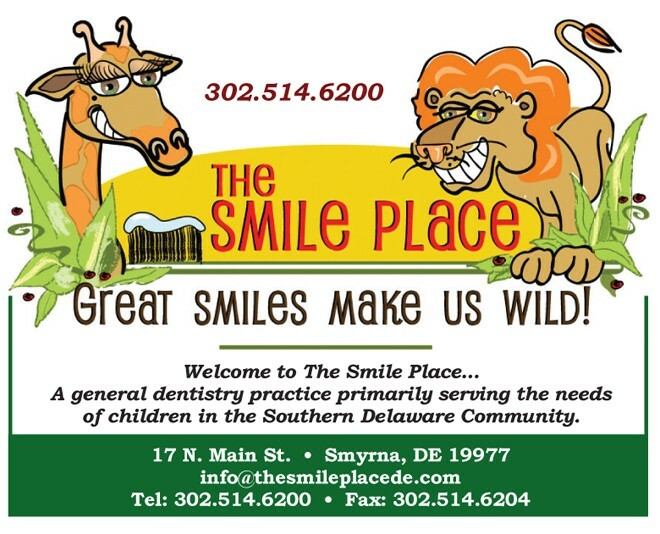 The Smile Place service extends beyond their Main Street practice in Smyrna. 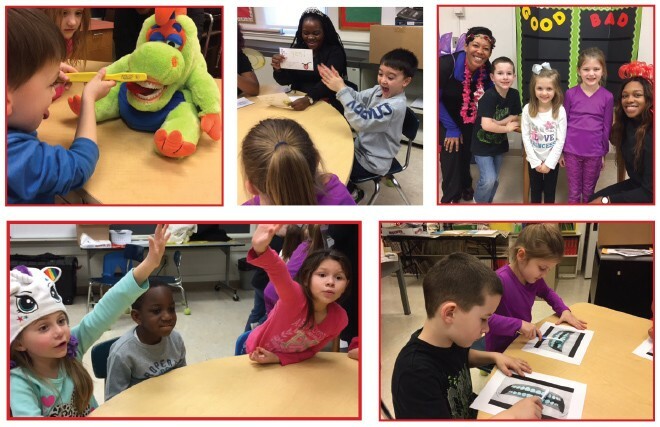 Their team of 10 visits local schools to teach children the importance of oral hygiene. • Health care is a lifelong process and the sooner it’s established as a habit in children, the better. • Babies are born with a full set of teeth, which are hidden in the gums. Oral care should begin before a baby’s first teeth emerge at around 6 months by wiping the baby’s gums with a washcloth after feeding to remove bacteria. • Early tooth decay can come from not taking the bottle away after a child finishes drinking milk or juice or worse, letting the child fall asleep with the bottle. Bacteria feed off the sugars and cause tooth decay in a condition called bottle syndrome. • A child’s first visit to a dentist should be an introductory visit around his or her first birthday. This provides the dentist an opportunity to forsee any early problems as well as establishing a good child/dentist experience. • As kids grow up, their oral hygiene habits should grow with them. • By the age of 3, children have all of their primary (baby) teeth. By 6 years of age permanent (adult) teeth begin emerging and come in by age 13. Children should brush twice a day and pay attention to the back teeth. • Have meals and snacks at regular times and avoid between meal treats. Teeth-friendly snacks include foods such as fresh fruits and vegetables. • Visit the dentist twice a year for routine cleaning and checkups. • If oral hygiene is established early, it will be easier for preteens to keep their gums and teeth healthy. • Remind them that good oral health will make them look and feel better and of the importance of healthy teeth and fresh breath. • Children should brush twice a day for two minutes in addition to flossing or Waterpik. Your dentist or technician will demonstrate the best flossing techniques. • Kids who play sports should wear a mouth guard. The Smile Place provides custom mouth guards for their patients. Visit www.TheSmilePlaceDE.com for more information or call 302-514-6200 to schedule a visit. Las Vegas Institute for Advanced Studies in Nevada and the Academy of Dentistry. She is also a member of the Delaware State Dental Society, American Dental Association, and the Academy of General Dentistry.